On March 4, 2018, the launch of the American Alumni Association of SIMIT CAS was held at the Silicon Valley Innovation Center, California, USA. Xi Qin, the director assistant of SIMIT, CEO of SIMIC Holdings, and Longan Wu, president of the Silicon Valley Association of Colleges and Universities, attended the meeting. A total of 40 American alumni of SIMIT and other guests attended the meeting and enjoyed this great event. At the beginning, Xi Qin made a speech and congratulate the establishment of the alumni on behalf of SIMIT. He said that the establishment of the American Alumni Association would play an important role in bridging the communication between SIMIT and overseas countries. Through this platform, it will contribute to the development of our national IoT, IC and AI industry. Xiafang Zhang, Chairman of the American Alumni Association of SIMIT made a speech, she thanked SIMIT, SIMIC Holdings and SITRI for their support. On behalf of the board members, she also explained the development purpose of the Alumni Association. 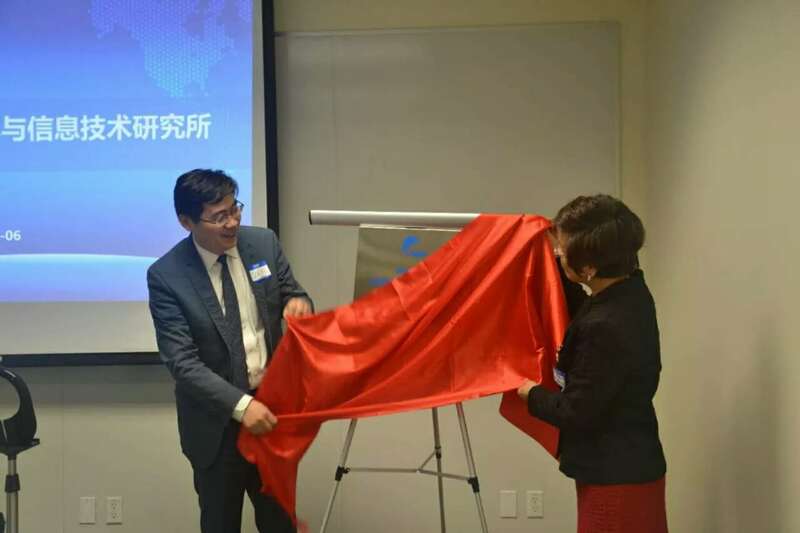 Then, Xi Qin and Xiafang Zhang jointly unveiled the American Alumni Association. After the opening ceremony, a new technology forum was held. Xi Qin made a report on the development of SIMIT and the capital operation of SIMIC Holdings with the latest development. Huahong Zhu from the Silicon Valley Innovation Center of SITRI delivered a report about “The platforms of SITRI". The new technology forum also invited the alumni representatives of the SIMIT, who comes from the United States, to bring forward technical lectures on the frontiers, including the MEMS sensor technology. 5G, RF technology, the third generation semiconductor and IoT low power IC technology, etc. The event received high praise from the alumni, and benefited them a lot. The founding of the American Alumni Association of SIMIT aims to gather overseas alumni, strengthen connections among overseas alumni, and enforce the cooperative opportunities among the alumni, SIMIT and other collaborative innovation units, to welcome the 90th anniversary of SIMIT.